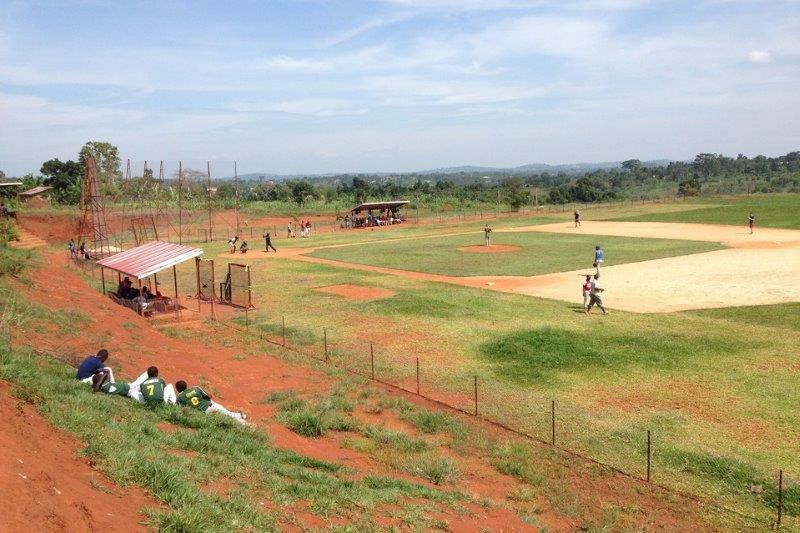 Last month, I went to Uganda to coach and play baseball. 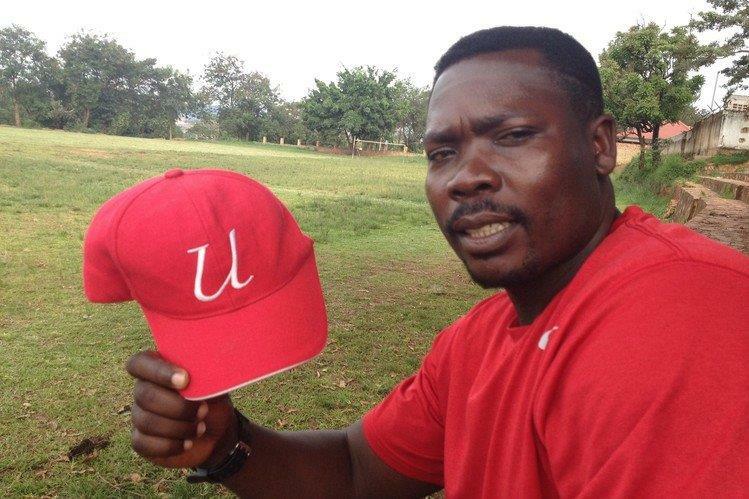 George Mukhobe is a 37-year-old baseball coach from the slums of Kampala, Uganda’s capital. He’s also the top baseball administrator in the country. Missionaries, and some Ugandan coaches, taught him the game when he was a teenager. He stuck with it, and along the way cracked the code of how to teach hardball. Two years ago, Uganda became the first African country to send a team to the Little League World Series. A documentary, Opposite Field, recently had its premiere in New York. I had talked to George on the phone in 2011. I was writing a column about his recent triumph at Little League’s European Championships in Poland. The same tournament had obsessed me during my 20s, when I coached youth baseball in Brussels. We had taken teams there four different years (18 wins, five losses, three trips to the final and two championships). Talking to George on the phone back then, two things struck me. One, wow, this guy loves baseball. And two, he must be a good coach. I decided then that I would need to visit. The time came last month. I had a week off and friends to see in Kenya. After landing in Uganda, I went through an Ebola screening, paid my $50 visa fee and walked out into the bright East African sun to meet a tall, broad-shouldered man. This guy, I thought, looks like a baseball coach. George drove me to the Catholic vocational center where he learned baseball. Uganda’s roads are swirling sunbaked chaos, parades of storefronts selling cellphones, chickens, bananas and, this time of the year, fried grasshoppers. Kids were everywhere, playing, running, begging. “I came from the slums, and learned carpentry here,” George told me when we arrived at the school. “Carpentry and baseball.” These days, he coaches on the soccer field in the back. There is a new netted batting cage there, paid for by Derrek Lee, the former major-league first baseman, who, along with star shortstop Jimmy Rollins, has taken an interest in Ugandan baseball. Afterward, we headed to Saint Peter’s, a school where George runs open practices every Tuesday and Thursday afternoon. I used to run baseball clinics in Brussels public schools, I told George. Once, a 9-year-old hit a grounder to shortstop. He dropped the bat, followed the ball and tackled the shortstop as if playing rugby. The runner grabbed the ball and looked at me for further instruction. George giggled. “Yes, that sounds like what happens here sometimes,” he said. George welcomed a few dozen boys and a few girls ages 9 to early 20s. He speaks softly and commands respect. “If kids see you have something to say, and they want to learn, they will always listen,” George said. The players warmed up with line sprints. George sent the better ones to another coach for defensive drills. I was more interested in what he was doing with the 20 beginners. They didn’t have gloves. Many were barefoot. George relied on Total Control balls, a yellow rubber ball with holes in them made by a company in Illinois. They are soft, easy on the hands and fly straight. He didn’t give out a ball for every two kids. That would result in chaos. Instead, he formed two of lines of kids throwing balls to each other. Each kid threw the ball to the other line, then ran to the back of his line. The challenge was clear. It was fun. And a coach could supervise two balls flying through the air. Then George set up two triangles of lines: Player A rolled a grounder to B who threw it to C who ran the ball back to A. George interrupted several times to remind kids to set their feet before throwing. I loved seeing this. It was exactly the kind of stuff we had developed to teach baseball to beginners in Brussels: simple drills, constant movement, lots of throwing and catching. Out of nothing, there was baseball. George ran a scrimmage game to finish up. I took 10 beginners out to right field and ran a hitting contest. Like coaches in Brussels, Havana and Chicago, George copes with politics, parents and patrons. He’s had his share of fights and fallouts. “They do their thing, and I do mine,” George said. “I just want to coach.” Parents in impoverished Uganda, if they are still alive, are the opposite of overbearing Americans. George once had eight ballplayers living in his house. A couple of days later, we drove to Gayaza, a suburb north of Kampala where a Japanese aid agency built a field on land donated by a local Catholic church. The infield is flat. There are mounds in the bullpen. George had organized three games that day. The first featured top 13- and 14-year-olds. They threw strikes, made plays and hit balls hard. His 11-year-old son Jonathan, one of five children, umpired first base. “I like all things about baseball,” Jonathan said. On the off day, George took me to Lake Victoria. We sat on plastic chairs, ate fresh fried tilapia with onions and tomatoes and talked more baseball. Marabou storks the size of 6-year-old kids milled about, snapping up scraps. Jimmy Rollins was texting, offering George a ticket to come see the premiere of “Opposite Field” on Nov. 17. “I don’t think I can go, I can’t get a visa in time,” he said. Visas are one of George’s biggest headaches. Foreign countries assume Ugandans won’t want to leave. George, who works construction on the side, sometimes in risky places like Sudan, wondered if more money could be raised to build fields, buy equipment and send kids to tournaments. What would it take to get a kid from Uganda signed by a major-league team? In the end, George’s biggest baseball problems aren’t about baseball. All the money in the world won’t give an orphan his parents back. And baseball isn’t going to solve HIV-AIDS, malaria or the regime of President Museveni, in power since 1986. But, after my visit, this I can say: George Mukhobe is a very good youth baseball coach. And on at least two recent days, I saw kids go to a place where, for a few hours, they had fun and played a game the right way. In many wealthy, privileged American towns, that is a hard thing to find. George, I said, you are already winning.